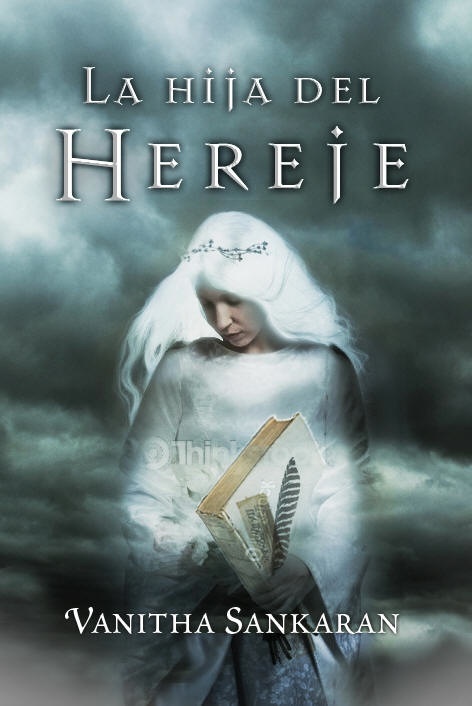 The daughter of a papermaker in a small French village in the year 1320—mute from birth and forced to shun normal society—young Auda finds solace and escape in the wonder of the written word. Believed to be cursed by those who embrace ignorance and superstition, Auda’s very survival is a testament to the strength of her spirit. But this is an age of Inquisition and intolerance, when difference and defiance are punishable “sins” and new ideas are considered damnable heresy. When darkness descends upon her world, Auda—newly grown to womanhood—is forced to flee, setting off on a remarkable quest to discover love and a new sense of self . . . and to reclaim her heritage and the small glory of her father’s art. 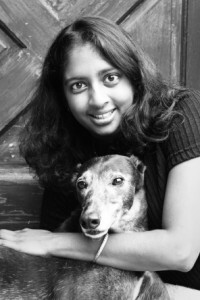 Vanitha Sankaran holds a BS in Optical Engineering, an MS and PhD in Biomedical Engineering, and an MFA in Writing from Antioch University. She has authored numerous prose pieces published both online and in print, served for 9 years as a founding editor of the journal flashquake, and chaired the 2013 Historical Novel Society Conference. 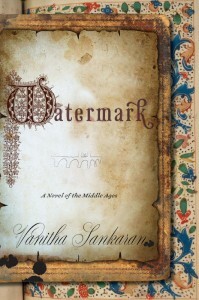 Watermark: A Novel of the Middle Ages, published by HarperCollins/Avon A in 2010, is her debut book of fiction. She is currently working on another historical novel, about printmaking in Renaissance Italy, and a YA fantasy. If you have any questions or comments for Vanitha, her email address is: info@vanithasankaran.com. She is happy to appear at local book group events, or to e-conference/call in for a distant event. Please email her to schedule, and check out the reading group guide for Watermark! For questions about rights and availability, please contact Marly Rusoff at Marly Rusoff and Associates, Inc.
Connect with Vanitha on Facebook and Twitter.